Sometimes JFace and RCP are not straightforward. At least not for me. When the OK button is pressed, the "okPressed" method is executed. 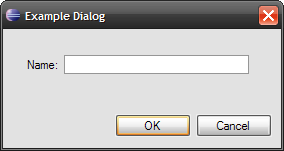 The "open" method of the dialog returns IDialogConstants.OK_ID in that case (instead of SWT.OK).